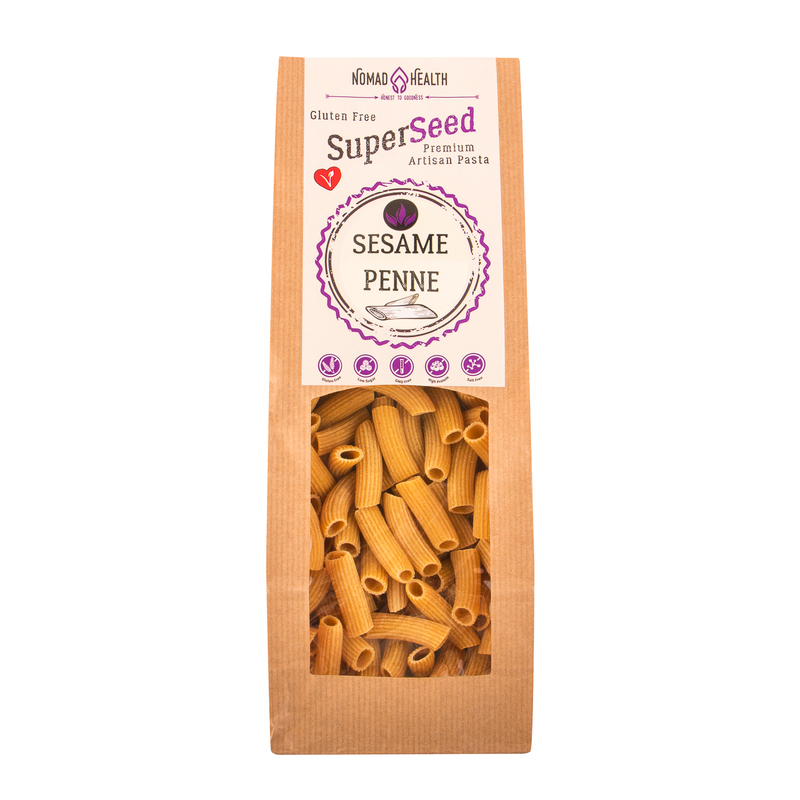 SuperSeed Sesame penne is made in small batches in Nomad Health's family run workshop by hand. They use pure naturally gluten free & nutrient rich ingredients: low fat sesame seed flour, tapioca & eggs. It tastes a little bit nutty, and it has a consistency of the Italian pasta. Available to buy in packs of 3, 5 and 10 (250g each). 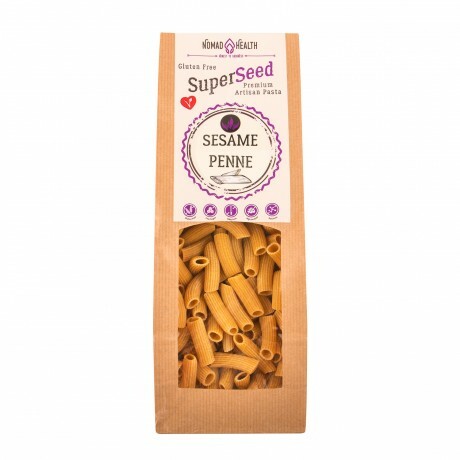 Minimum quantity for "Gluten-free SuperSeed Sesame Penne 3 Bags" is 1.